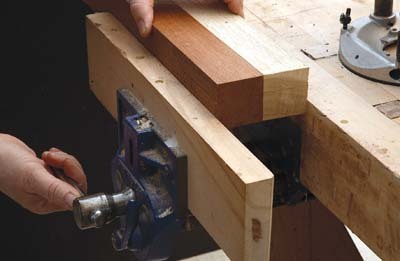 Scarf joints are used to fix timbers together end to end. 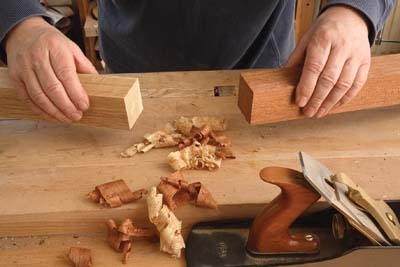 They are used sometimes in cabinet making, such as with rare wood that comes in short lengths, but more often in furniture repair or household joinery. 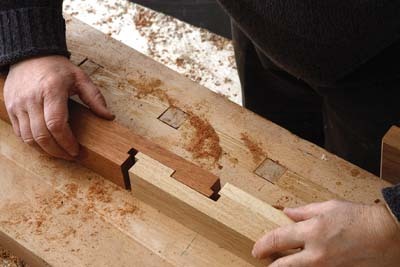 The idea is to turn two short timbers into one long one without changing the external profile, or making the wood significantly weaker. 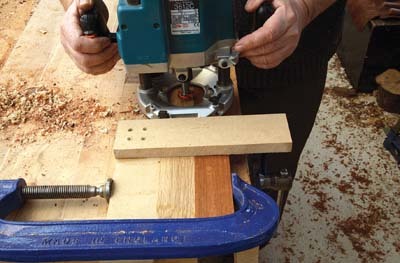 This article focuses on one type of scarf - the double-tenoned variety which is locked together in the middle with wedges, needing no glue. 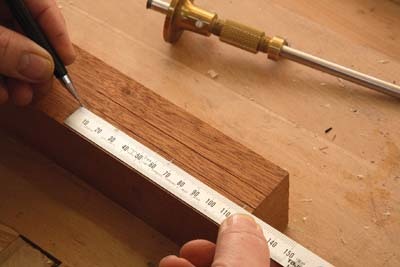 It would normally have been cut with a saw and chisel but here I will do most of the work with a router. 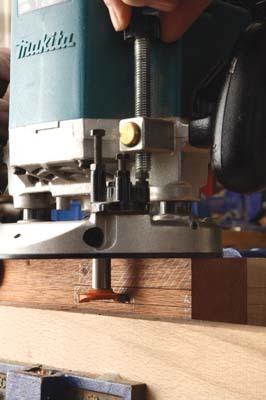 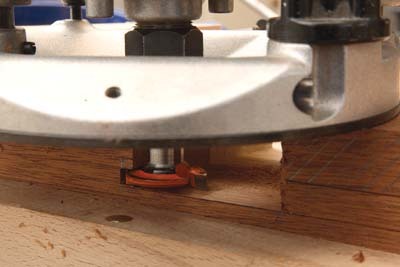 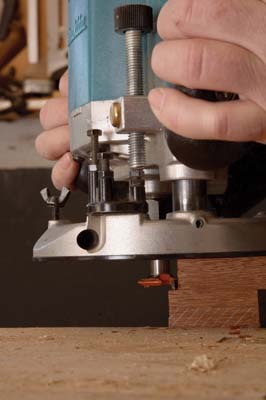 A router rebate cutter designed for milling is ideal for this joint. 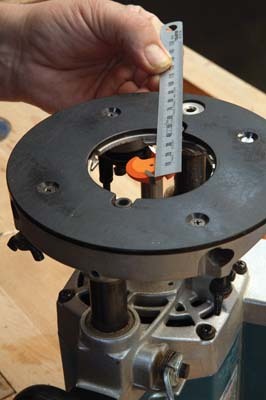 The one I used was 31.7mm in diameter, with 5.7mm deep edges. 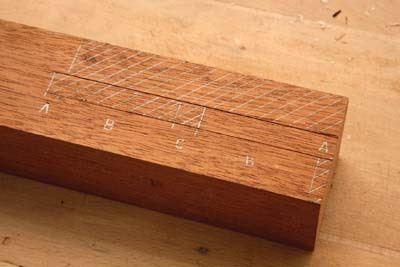 It makes a straight side with a flat bottom. 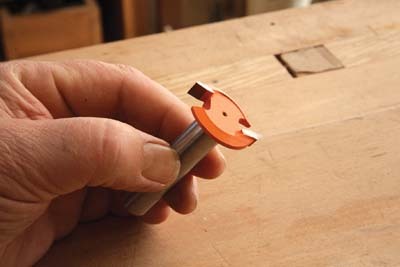 It is also capable of undercutting up to about 5mm or more - ideal for making the square grooves which form the mortises at each end of this joint. 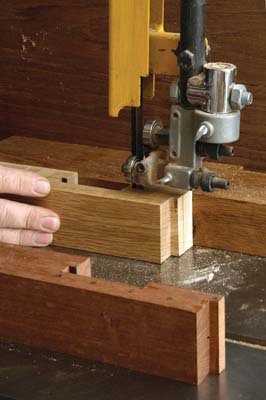 Drive the wedges into the hole in the middle of the joint, locking it securely together with one wedge from each side. 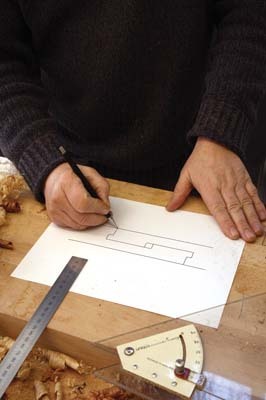 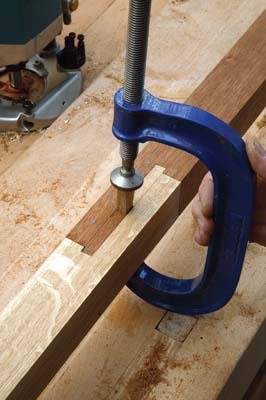 You can use a mallet but I prefer to use a strong clamp to squeeze the wedges together, as it is more controllable. 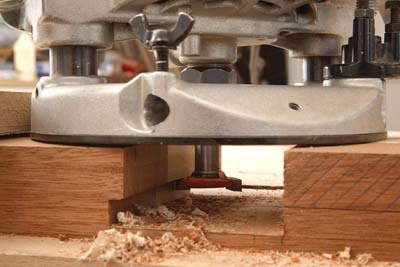 Finally, saw of the ends of the wedges flush with the sides and plane them. 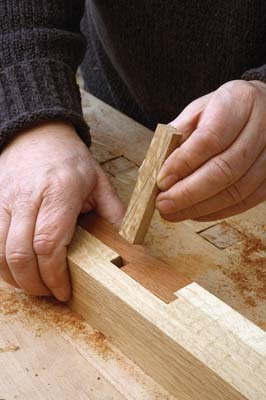 Joints like this, made without glue, have a timeless appeal. 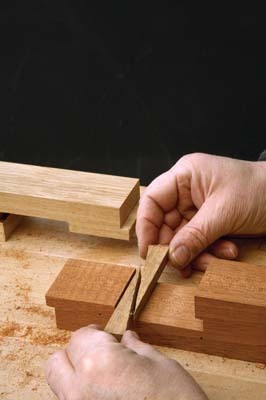 If you are not convinced, there is no reason why you should not apply glue before assembly. 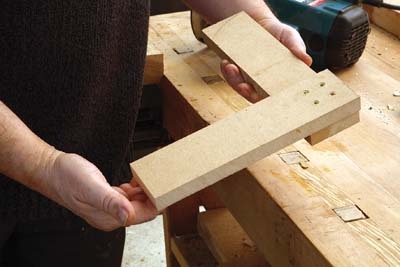 You may want to practise this joint on some scrap to check the dimensions and methods before using it as part of a project. 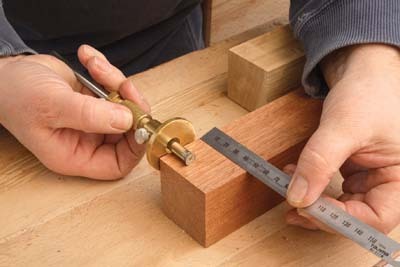 With careful measurement and cutting, the double tenon scarf joint is excellent for small, load bearing construction, and also an attractive joint to look at!